Graphic Novels and Comic Books are getting bigger every day. Plenty of summer blockbusters feature spandex-clad heroes, and even lesser known properties are getting snapped up and turned into films. There’s never been a better time to get into comics. Unfortunately, with all the material out there, a lot of people just don’t know where to start. The Comics Casual is a 6-part series that will keep you from getting lost between the pages! Superheroes and comic books are symbiotic. Comics were definitely around before superheroes, but superhero comics helped define comic books as a medium, and comic books have helped define superheroes as a genre. Superhero Comics are basically soap operas. If you watch soap operas and read comics, you’ll find many plot devices, characterizations and stories in common. Both will kill characters in shocking twists, only to have them come back to life within the year. Both have a huge cast of supporting players that shift in and out of the main characters’ lives. Both have a tendency toward melodrama. Not to say that they are interchangeable – far from it! But the similarity of format – episodic stories woven together to form a huge, long-running epic – mean that they have many things in common. If the writing of comics is the soap, then the art is the opera. Much like opera, the art of superhero comics is very stylized. Bright, primary colors and iconic costumes are the superhero equivalent of the enormous personalities and voices of opera singers. The visuals are over the top because the genre and format lend themselves to that type of visual storytelling. Which panel looks cooler – Clark Kent getting a news tip from a police officer, or Superman holding up a toppling building? Superheroes themselves as characters, usually represent an ideal. Superman is ultimate power used responsibly, while Batman is a normal person standing up to injustice. The reason different writers can write such different versions of the characters is because these ideals give a broad archetype whose details can be filled in differently. Often people say “superheroes are modern mythology”, and there’s a lot of truth to that idea. This is why you can pick up two comic books with the same character, but have completely different interpretations. It’s jarring at first, but it’s also what keeps the characters fresh, while still maintaining their basis. This archetype is the most important thing to know about the character. Another great way to get the “cliff’s notes” of a superhero is to check out adaptations into other mediums. Cartoons, Live-Action TV Shows and Films often establish the “basics” of a hero. I’ve included two cheats in the list for two superhero franchises that strike a good balance between faithful adaptation and welcoming to new audiences. With these basic ideas in mind, go forth, and try these 10 superhero comic books. As always, they were chosen for a variety of reasons, including accessibility, popularity and availability. I’ve also tried to include the most well-known superheroes. While its first sequel is, in my mind, a better film, this is the best way to understand the key idea that makes Spidey tick: “With Great Power comes Great Responsibility”. This film trades some of the standard continuity for a well-crafted story and origin, which is more vital to new readers than which of Peter’s girlfriends dated him first. For a more technically accurate version, Marc Webb’s The Amazing Spiderman is also good. After viewing either of these films you’ll know enough about the character to pick up a trade paperback and run with it. Atomic Robo is a high-flying, hard-punching all ages book that takes its inspiration from comic books, history, and comic book history. 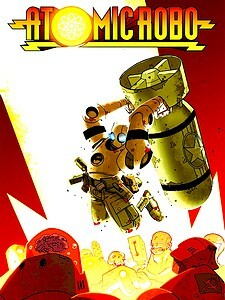 It chronicles the adventures of Atomic Robo, a robot created by genius inventor Nikola Tesla. The first volume follows Robo in modern day as he heads Tesladyne, a scientific R&D company in a world full of Mutant Ants, Killer Pyramids and Immortal Nazi Scientists. Rating: 6+ for some frightening imagery and cartoon violence. The book is one of those rare gems that tells a story for any age group. While the Hellboy franchise is huge, with multiple spinoffs and its own live-action and animated adaptations, it still keeps its origins simple. If you begin with Hellboy: Seed of Destruction, it will introduce you to the characters and stories with clarity and efficiency. 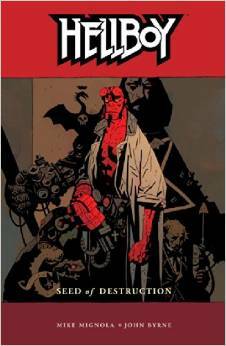 If you like your comics a bit darker and spookier while still being dynamic and fun, Hellboy is for you. Mignola’s art style is very unique, often compared to German Impressionist films, and it fits the story very well, and it will keep you reading for years to come. DC’s New 52 was a big marketing push to try to get new readers into comics. All of their titles were “rebooted” and started at Number 1. 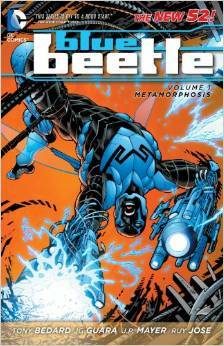 Not all of the reboots were very good jumping on points for new readers, but Blue Beetle stands out as a good one. It retells the origin story of Jaime (pronounced Hi-MAY) Reyes, a Latino Teen from El Paso, becoming the Blue Beetle. It starts off as a standard teen superhero story, but veers into much bigger territory. Many issues guest star and introduce other heroes too, like Green Lantern. Unfortunately, it was cancelled due to low sales, but it’s still worth a read. Start with the first trade paperback and go from there. 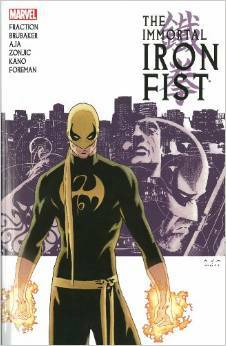 This little gem is a comprehensive, modernised version of Iron Fist’s Origin and World. The only thing it doesn’t cover is how he knows the Heroes for Hire Luke Cage and Misty Knight (Who do appear in part of this volume), but the rest is all here – martial arts action, mystical disappearing cities, pulp intrigue… it’s all here. This is what is generally referred to as a “Street Level Hero”, as in a hero who doesn’t go off having intergalactic adventures, but rather stays on Earth and fights crime. Unfortunately, the Complete Collection isn’t available digitally, but rather as a 5 volume collection. A classic, self-contained Batman story, which, while it doesn’t contain an origin story, does hit all the usual tropes a “standard” Batman story hits – crime, corruption, mystery and politics. The Calendar Killer strikes every single holiday – but only to kill mobsters in the Falcone Crime Family. 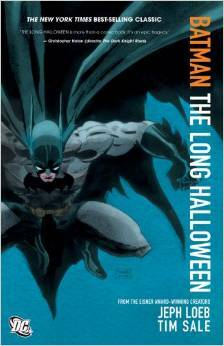 The Long Halloween, along with The Dark Knight Returns, were clearly a big influence on Christopher Nolan’s Batman Trilogy. Worth a read, if for nothing more than Tim Sale’s fantastic art. You might recognize it as the prophetic paintings of Isaac from the first season of Heroes, on which Jeph Loeb was a writer. Rating: 15+ For dark imagery, violence, strong language and sexuality. Another entry on this list from DC’s New 52. While the title Superman picked up in the middle of Superman’s life in metropolis, it was the issues of Action Comics that showed us his early days in Metropolis, as a young, struggling journalist named Clark Kent. 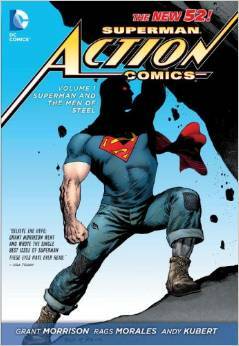 The origin of Superman, as well as his many foes, is told within this very trade. Grant Morrison is a writer who is known for taking comic book heroes and putting a unique (and sometimes bizarre) spin on their concepts. There are touches of his weirder tendencies in here, but when you consider that Superman is an alien, they actually work fairly well. A good way to get into the very hero who started it all. Rating: 13+ For violence, strong language and sexuality. Kamala Khan is a 16-year-old Pakistani American from Jersey City, obsessed with superheroes and beginning to push against the boundaries her parents set for her. One night, Kamala sneaks out to go to a party, and is given powers by a mysterious cloud of green fog. She dresses up like her favorite superheroine, Captain Marvel, and proceeds to fight crime. 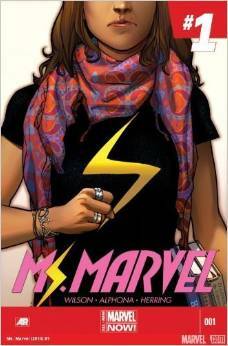 Ms Marvel is an interesting take on a Muslim superhero. Writer G. Willow Wilson and editor/creator Sana Amanat are both Muslims, giving the book a wonderful authenticity. The book’s tone is goofy and fun, but with great warmth and depth. The story will also familiarize readers with the Inhumans, another group of Marvel characters with their own unique continuity. Check it out! Rating: 8+ for cartoon violence and some frightening imagery. X-Men comics are the epitome of the “Comics as Soap Operas” concept mentioned above. The X-Continuity itself is particularly dense, being full of hundreds of characters and a complex mythology. New X-Men was a creative revamp for the X-Men, and the stories and continuity that started here in E is for Extinction helped shape the current stories being told in X-Books. The run was controversial for several changes to characters and concepts, but most of them have been incorporated fairly seamlessly into the new continuity. 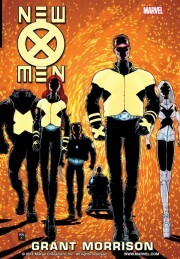 Many of the characters introduced in this volume have become central to the X-Men mythos. X-Men is also known for having a much more diverse lineup than most other superhero titles. While partly because it has the largest roster of characters, this is also because the themes in X-Men are prejudice and persecution, which draw heavily from real-life struggles of minority groups. Rating:15+ For violence, mature themes, death and sexuality. Our second cheat is the Justice League animated series. For the uninitiated, the Justice League is DC’s “supergroup” hero team, consisting of many members, but the “classic” lineup is generally considered to be Superman, Batman, Wonder Woman, Green Lantern, The Flash, and Martian Manhunter. While these characters are the focus of the first two seasons, which are simply called “The Justice League”, there are guest heroes that show up. 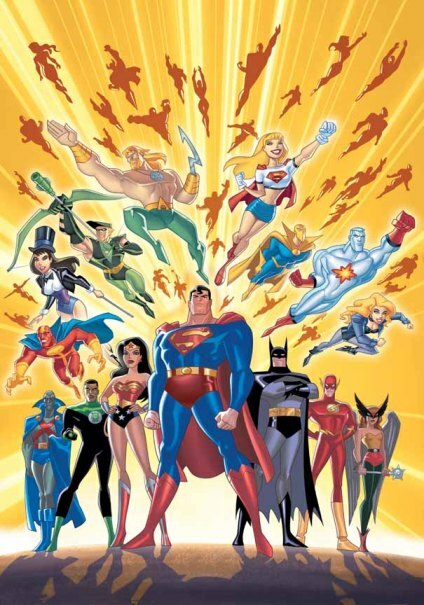 The show was re-formatted into “Justice League Unlimited” which became a Who’s Who of DC Superheroes, with each episode focusing on different heroes. This show is a great way to get into DC’s flagship characters as well as learn about their entire roster. Many of the writers were comic book writers who adapted existing storylines right from the comics. Probably one of the best ways to get a comprehensive history of the Justice League. Rating: PG for cartoon violence and dark themes. Well, faithful readers, that marks the end of the Comics Casual Series… or does it? Stay tuned next week for a Bonus Issue of The Comics Casual: What’s Next?